The High Constitutional Court (HCC) has dismissed two lawsuits challenging the legality of Egypt's second Constituent Assembly which wrote the country's standing constitution. 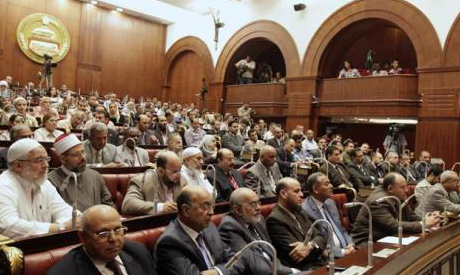 The lawsuits challenged the criteria used to appoint members of the assembly by Egypt's lower house of parliament. In June 2012, Egypt's High Constitutional Court dissolved the lower house of parliament because the law governing its elections was unconstitutional. Egypt's Administrative Court referred the lawsuits to the HCC in October 2012. The constitution was officially approved on 25 December 2012. The first Constituent Assembly, which was also appointed by the lower house and was dominated by Islamists, was dissolved by an administrative court in April 2012. The High Constitutional Court's (HCC) dismissal of lawsuits on composition of constitution-drafting body is the height of ambiguity. If the lower house was dissolved and ruled unconstitutional how then is its role in forming the one hundred members of the Constitution Council be considered legal? It is either that the dismissal of the law suits by the HCC is political or indecision bordering on manipulation by outside forces. Saba E. Demian, M.D. This horse is dead, go find another one.